Reverse Blade Anime Sword | BUDK.com - Knives & Swords At The Lowest Prices! Here's the reverse blade sword from one of your favorite anime video games! You've been asking for it so we searched high and low to bring it to you. I thought this was gonna be a cheap anime sword like the rest but I was wrong about it when I opened it. It's thick, dense, and too sharp to be considered a cosplay sword. 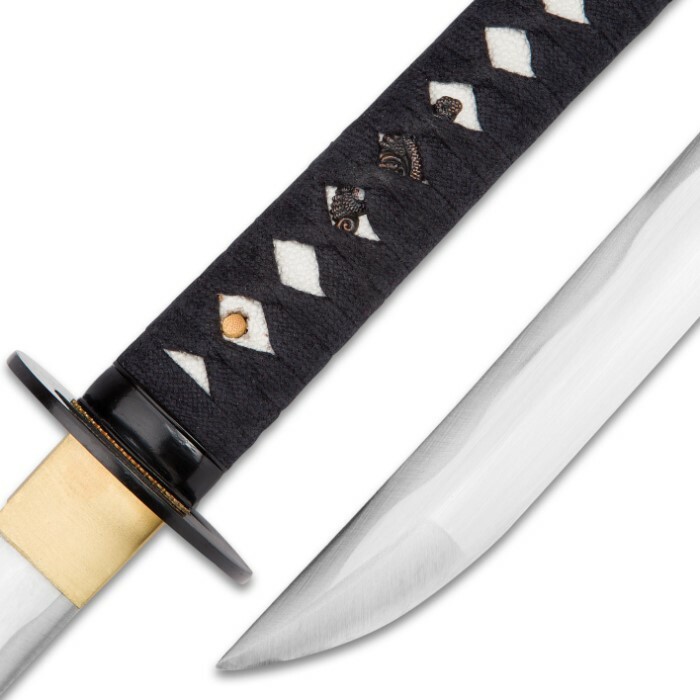 This reversed blade has to be made with 1045 or 1060 high carbon steel. It was worth the money for this reversed blade. Bought this, it's better than a cheap prop sword of course, but there was several blemishes in the crossgaurd and the tip bent extremely easy. It would be a nice decoration, but I wouldn't advise it to use. It is absolutely perfect. I just received it today and I am blown away!! It is beautiful and even better than I expected. A definite need for any collector! Mine just came in the mail yesterday and i couldnt be more pleased its everything i could have imagined and just holding it brings so much feels from the manga/anime. 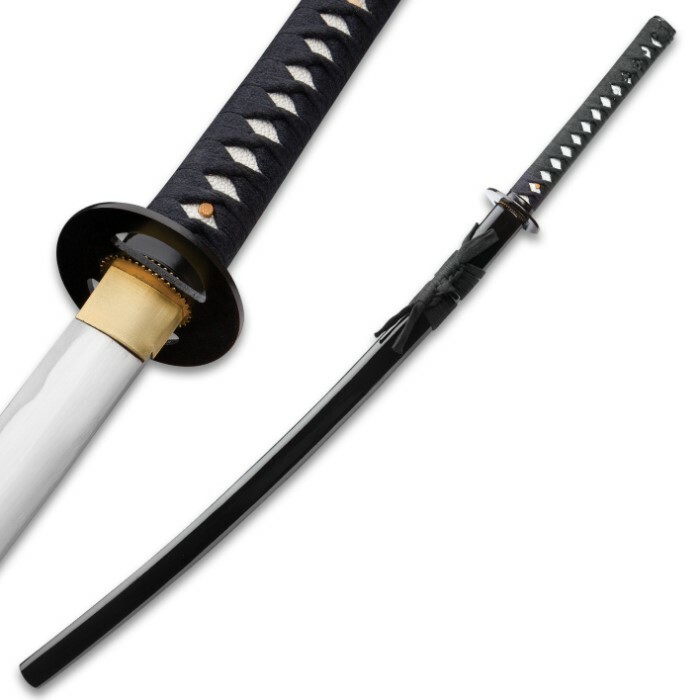 The blade is sharp its all in prestine condition from the blade to the scabbard nothing wrong with it what so ever. Do need to draw it a couple times just to get it to draw easier but other than that 10/10! The sword is very good quality and is exactly as shown. The only issue I have with it is the blade is not very sharp, other than that no complaints. Weather this is bought to be used or as a collector item it will not disappoint in the quality of craftsmanship. So I bought this sword expecting exactly what I got. A cheap sword with poor craftsmanship. Heck they even misspelled handcrafted when they printed it on the blade. I blame the mfg not the retailer so this won't hinder me from buying further items and testing the quality. 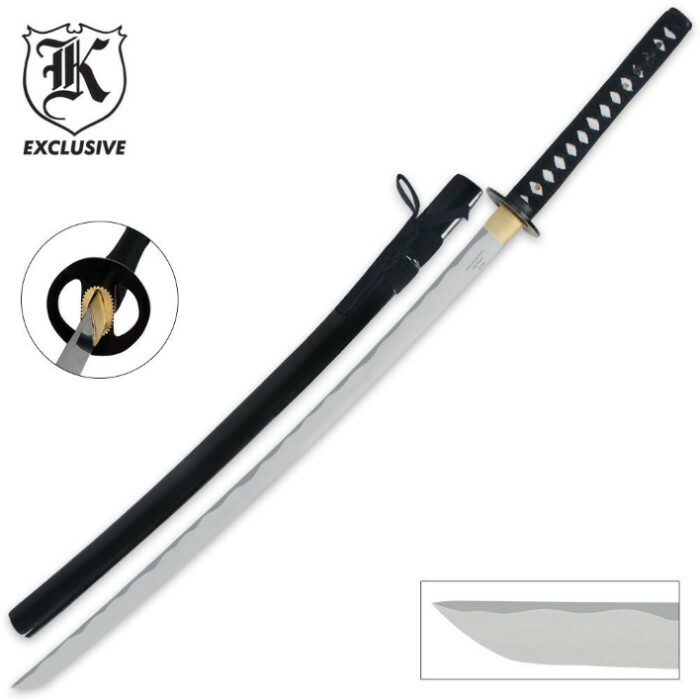 this is a wonderful sword for the protector or executioner in you or if you need a good defence weapon this is it I have had mine for 8 years the leather was a little loose but other then that the sword is one of a kind thank you true swords we will do business a long time on a side note can you guys get the sword from the movie AZUMI the one with the spring loaded hidden blade in the hilt I would sooo buy it and BATTLE-READY swords from the hit anime sword art online kirito's and asuna's sword aswell,but anyway the sword is RAZOR sharp don't touch the edge all in all the sakabato is now my master sword I have mastered it in eight short years its a excellent sword if you have mastered everything from a Spanish saber to the claymore sword I recommend this sword next its weight is decent for training but I would advise covering the ray skin and leather in nylon wrapping to protect the ray skin and give an all over better grip thanks you true swords now if you can only get thouse other four swords when you do i'll be calling with credit card in hand thanks again keep up the good work. I RECEIVED TWO BEAUTIFUL SWORDS!!!!!!!! !